We spent an intense and rewarding 2012–13 school year in Sweden, studying fiddle and nyckelharpa at the Eric Sahlström Institute. 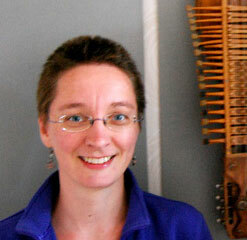 ESI is the epicenter of the nyckelharpa universe; it’s located in Tobo, a couple hours’ drive north of Stockholm. The town is tiny, but is nevertheless a familiar name both to nyckelharpa players around the world and to people who happen to live along the same train line. It is a wonderful place and you should go visit. To hear what happens next, and how we’re bringing all this musical inspiration back to the folks at home, check out our lydia & Andrea duo site. There you can learn more about our performances, recordings, and teaching, including the popular Träd Weekend intensive workshop we have developed for Scandi-interested instrumental musicians. Yesterday I played my ~audition for the Zorn Jury, and was awarded my bronze medal, woo hoo! It is kind of weird to try to write about the whole thing in English. You can read some context about the system in this article about the title Riksspelman, which is what I would become later if I subsequently earn my silver medal. It is vanishingly uncommon to earn a silver medal in one’s first attempt, so the bronze is the hoped-for result, and I am very pleased. There’s even a little interview snippet about me amongst the news about this year’s results for the week-long trials. After many months of deliberation (until the application deadline in late March), I elected to play up on fiddle rather than nyckelharpa. Since my school project work this year has been focused on the line of Uppland tradition through Ivar Tallroth (1904-1993), back through the great spelman August Bohlin, all the way back to Per and Olle Hellstedt in Tobo in the latter half of the 18th century, I chose to play Uppland tunes. På bondbröllop, polska av Wilhelm Gelotte (1859-1950) — learned in class this winter from Ditte, and it was an instant favorite – a well-timed “oh, wait, I do love Uppland tunes” moment. I like that her version carries some nice little details from Gelotte’s manuscript that are missing from the more common version that “everyone” plays. Skogsstigen, gånglåt av Johan Olsson (1896-1959) — actually nobody seems to be completely sure whether this is the tune’s name, but otherwise it doesn’t have one, so I’m stickin’ with it. Olsson was the greatest musical partner of Ivar’s life; they played together for 25 years. I learned this walking tune from Olle Linder, who learned it from Ivar Tallroth; I also have a couple recordings of Ivar playing it. The tune deserves to be rescued from obscurity; it’s another one that I latched onto instantly. Plus it’s in F and Bb, yay! My choice for a little homage to Ivar, since his own tunes are pretty flashy, not such good candidates for this context. Polkett in A/D/G efter August Bohlin (1877-1949) — also learned from Olle, who learned it from Ivar, who learned it from Bohlin. Since the tune is efter Bohlin rather than by him, its age is indeterminate. My new candidate for “world’s best polkett”, and an undeservedly lesser-known one. Olov Johansson recorded this tune on I Lust och Glöd; he says he also learned it from Olle, so maybe Ivar is the only source? That would be kind of neat. Or maybe I just haven’t asked enough people yet. Olle says the 3rd reprise sounds like it started out as a snippet of military melody. Hammarvalsen av Gustav Jernberg (1881-1964) — because I was offered the option to play a fourth tune. I first learned this waltz from Per Gustaf Jernberg, who is Gustav’s grandson. There’s a neat bit in the B part that imitates the sound of the hammers at the forge in Österbybruk, the town near here where it was written. Also I now associate the tune with Hasse Gille, who lived in Österbybruk — since some friends played it at his funeral in January — so it felt like an appropriate homage to choose it here. …as my uncle Edgar says, because nobody is perfect. Our class’s earlier round of practicing playing for dancing was such a success that we did it again. Fifteen-minute solo timeslots, and a lot of really quite good dance music. Andrea and I spent a lovely afternoon at our friend Leif Alpsjö‘s house playing tunes with nice folks. We stopped at Viksta-Lasse’s memorial stone in Viksta on the way there. Everyone of course brought their own fika. I kind of forgot to take pictures during the more populous parts of the day. Jeanette Eriksson and Mats Berglund played an awesome concert-and-dance gig at Stallet. I didn’t make it to the show myself, but Andrea brought me a couple of little movies — and Jeanette said it was OK for me to post them for y’all, yaay! Halling fr. Aurskog — the tune I played for David’s spectacular dancing on our December ESI concert. a pair of Jössehärspolskor — with a visible dance floor, per popular request! The salty dog rag — showing its roots as a schottis variant. The tune we know for it was nowhere to be found; they say they dance it to any old schottis melody. Hambo från Södertälje — A cute hambo-mixer variant. Polkett mixer — when I was in grade school, this was one of the dances my mom taught to groups of kids. We called it patty-cake polka. If this group had a name for it, I didn’t find out about that.